We offer regular home cleaning to help you maintain a high level of hygiene on a daily, weekly, or monthly basis. Perfect for anyone too busy with daily commitments, a full work schedule, or anyone wanting to have a professionally cleaned home. GreenClean from Melbourne is your solution. GreenClean also offers amazing once off cleanings. When you move out of a location, we clean your old house from top to bottom with a one time visit. If you are from the Melbourne area, call us to arrange an appointment and get a quote. Fees are based on the size of the premise. We send in our team of the most experienced cleaners to thoroughly clean your home. Our cleaning methods leave no bad smell behind. GreenClean from Melbourne will make your home look immaculate for a fresh new springtime. We offer guaranteed end of contract cleaning. 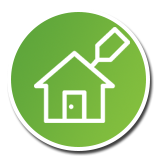 A GreenClean team comes to your apartment and makes your place shine for you to hand over to your landlord. Call us now from anywhere in Melbourne and you will get your bond returned, guaranteed! If you don’t, the team comes back free of charge to make it right. If you’re moving to another location, let GreenClean help you to leave you apartment perfectly clean. We’re here to serve the entire Melbourne area. Our team of professional cleaners will make your home shine like new! The price depends on the size of the home. We offer premium cleaning with environmental-friendly chemicals. Our entire line of cleaning tools are eco-friendly. If you are from the Melbourne area, the GreenClean team will professionally clean your home with only the latest in modern eco-friendly products. Our highly trained team will clean and sanitize your carpet. By utilizing the GreenClean unique method deep cleaning, we kill all of the germs and bacteria in the carpet. Call us and setup your GreenClean anywhere in Melbourne. We can even clean your upholstery quickly and efficiently. Our experienced team from GreenClean will make sure your upholstery returns to good as new. We are available all around Melbourne. It may impossible to avoid the stains, but it is possible to hire the perfect company for upholstery cleaning. We clean all types of rugs safely – silk, Oriental, Persian, woolen rugs, or whatever you have. The GreenClean team uses the latest modern technology to clean your carpets thoroughly. If you’re anywhere in Melbourne, don’t hesitate to make an appointment. Mattresses accumulate many allergens and germs from normal use. 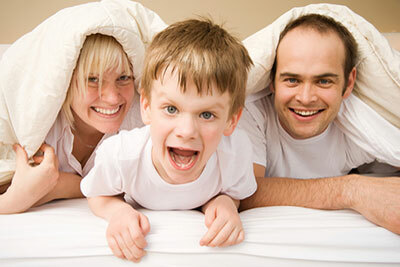 Our GreenClean team will rid your mattress of all of them. We will use only non-invasive and eco-friendly chemicals. If you’re in Melbourne and in need of a mattress cleaning, call us to schedule your appointment. Our team of professional cleaners will visit you anywhere in Melbourne, clean your home, and ,except for the clean, you’ll never know they were there. The satisfaction of our customers motivates us to improve our services and keep growing into one of the best cleaning companies in Melbourne. We are always on time and only use the latest, best technology. If you’re anywhere in Melbourne, you should call us today. If you’re in Melbourne and you need to clean your home, give us a call. Our highly trained team will do it for you. You too will when we finish up with your home. Give us a call and we will be there, anywhere in Melbourne. Whether it’s about service in Melbourne or the price, don’t be shy to ask! You can book any service you want. Whether it’s rug, upholstery, mattress, or whole house cleaning, we will book it. GreenClean will get rid of the filth anywhere in Melbourne. Give us a call and book any and every service you need. We Working with eco-friendly products and the latest technology tools, our highly trained professional get your house clean. GreenClean guarantees a perfectly safe and healthy environment. If you’re in Melbourne and you need a house cleaning, give us a call today. There’s nothing better than coming home from work to see your home in perfect shape, clean, and ready. GreenClean is the perfect solution for you. We will come anywhere in Melbourne and clean your house from top to bottom!